Old Navy launches an integrated brand partnership with We Heart It. 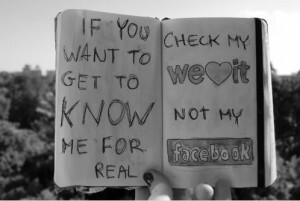 We Heart It is likely the biggest social network you’ve never heard of. Now boasting 30 million monthly unique visitors — and adding 1 million new members each month — it’s quickly become the go-to source for visual inspiration among millennial females. One key reason for this rapid growth, particularly among young women, is the “bully-proof” nature of the platform. On We Heart It, there’s no commenting, so negativity is virtually non-existent. “If I am following you or see an image from you…the only thing that I can do is heart that image, which is endorsing it, or I can follow you which is a way to say I want more of those images, and so those are both positive actions,” says Ranah Edelin, CEO of We Heart It. The vast majority of We Heart It’s extremely active user-base are young and female, over 80% are under 26, over 80% are female, and over 80% are using We Heart It on their mobile devices (tablets/phones). With over 4 billion page views per month, this presents an enormous opportunity for brand advertisers who want to reach young, influential, tastemakers. Old Navy was seeking innovative opportunities to connect with younger female audiences where they are being inspired by visual content. AKQA (Old Navy’s agency) asked nativ.ly if we had any unique, first-to-market, native partnership opportunities and we were thrilled to be able to help Old Navy launch the first large retail brand partnership with We Heart It. 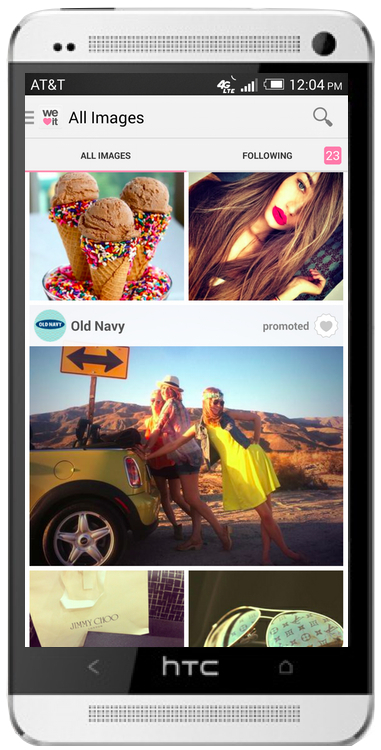 We Heart It’s visually impactful native advertising platform is enabling Old Navy to weave it’s brand imagery (and videos) into the fabric of the user experience across both mobile and web. The ad placements on We Heart It are truly “native”, since they are promoted content that is “heartable” (functioning just like any other content on the platform), creating a huge opportunity for earned media. Each time a user “hearts” Old Navy’s promoted content, that image/video is shared to all of that user’s followers (like a retweet), creating an enormous potential for organic “social lift” as the audience amplifies the promoted content. “Our loyal and passionate fans appreciate that they have an opportunity to discover something new and fresh that has been created especially for them and doesn’t feel anything like standard online ads,” says Dave Williams, President of We Heart It. As the audience “hearts” Old Navy’s promoted content, this also drives an increase in the number of “followers” of Old Navy’s Verified Brand Profile. The profile is a rich canvas where all of Old Navy’s content is showcased. When Old Navy brings more content into We Heart It, its followers organically “heart” it, driving an ever-increasing follower-base and a deeper connection with the We Heart It community. If you’re interested in exploring a brand partnership with We Heart It, let’s talk.